 Low coolant light on? 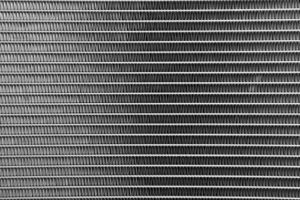 Your auto radiator is an important part of your car’s cooling system. It helps to keep your engine cool and free from overheating. Without a working car radiator your engine is at risk from damage, don’t ignore auto radiator problems! If your vehicle is showing signs of overheating you most likely have a problem with your cooling system. If you are having to constantly refill your engine’s coolant, you could have a leak in your radiator. Don’t simply keep refilling, bring your vehicle to a trusted auto garage for an inspection. You may notice a bright green liquid leaking from your vehicle. The radiator is an important part of your car’s cooling system. Without it your engine would continue to overheat until it starts damaging the components. Don’t ignore these warning signs, if you think you have a problem with your vehicle’s engine. Call to arrange a radiator repair today!